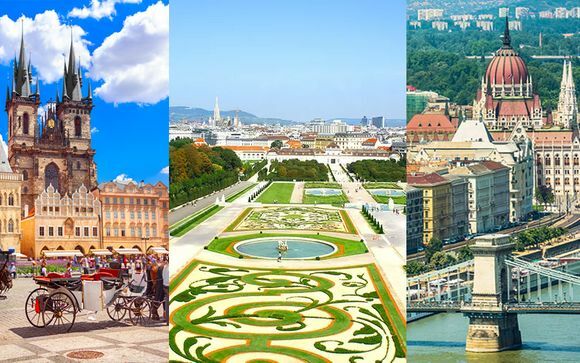 Last minute deals to Budapest up to -70% off To take advantage of these offers, join now for free! 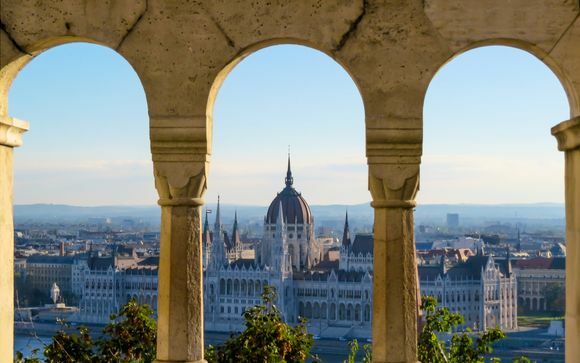 Book last minute deals to Budapest with Voyage Prive and discover more about this city’s fascinating history, hearty cuisine and refreshing approach to life. 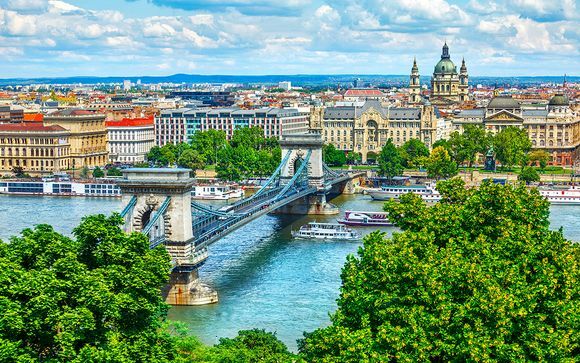 Budapest has earned its nickname of “the Paris of the East.” Its old town is dotted with bars, restaurants and historic buildings and its statuesque royal castle stares majestically from one side of the Danube, while the striking Parliament building looks across from the other. 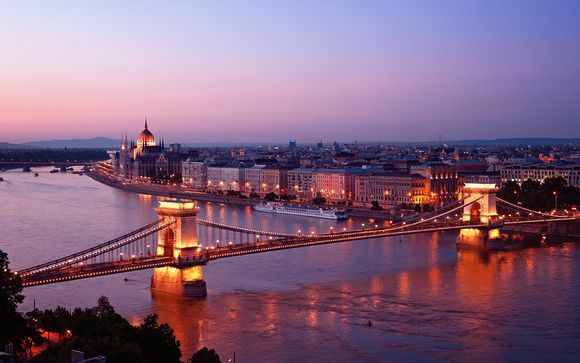 Budapest exists as one city but is actually two districts, Buda on one side and Pest on the other. A series of elegant and chiselled bridges connects the two halves. Budapest today enjoys a reputation as a young and vibrant destination but it is marked with the history of its politics and geography. The architecturally-stunning thermal baths are wonderful examples of the city’s style – both old and new. They’re still a regular visit for many of the city’s citizens and are a tourist treat not to be missed. The imposing columns and statues of Heroes Square offer a more stirring flashback in Hungarian history and are a great opportunity to learn more about the people who shaped the city’s diverse culture. A well-made goulash is a thing of delight. 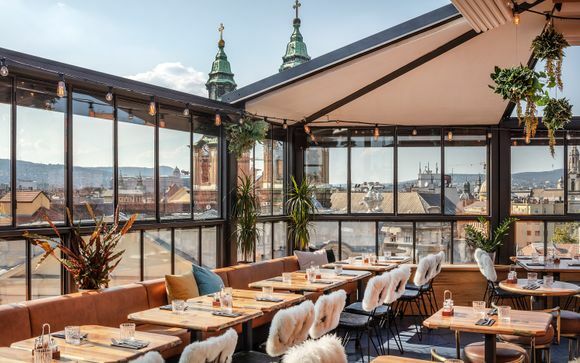 It’s an easy but heart-warming joy for Budapest’s visitors to take a seat at one of the city’s many open-air or tucked-away restaurants and enjoy the home cooking that this area is known for. The country’s wine is also excellent, as is the welcome. If you'd like to get more local flavour with your meal then one of the river cruises down the Danube that splits the city will usually also include a display of local dancing, alongside a good meal. Although the city itself is steeped in history, the hotel industry has moved with the times. 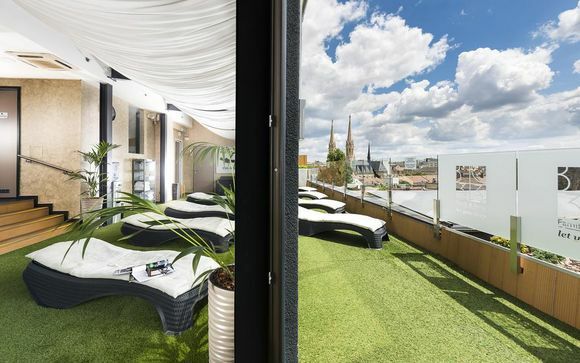 Together with our highly-professional hotel partners, we can offer weekend packages which will let you take in the city’s sights, sounds and vibes in an exquisite and luxurious environment. 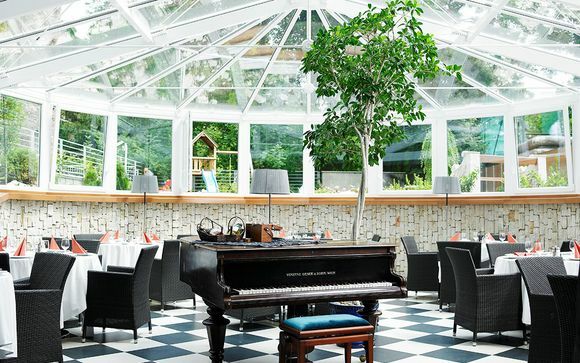 Choose from one of our four or five-star boutique hotels, residences or family hotels. Each is as gorgeous as the one before. 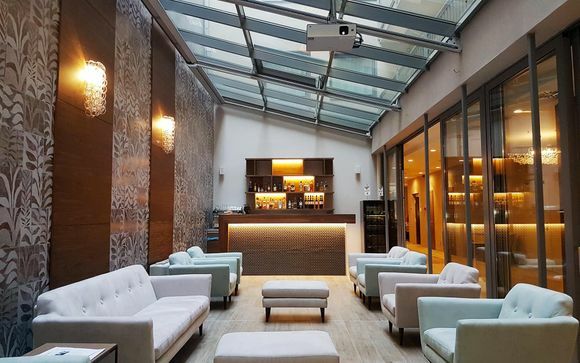 Weekend trips to Budapest are an easy choice for the discerning traveller, so sign up today to enjoy our exclusive offers and exceptional prices to this modern masterpiece. Book today and enjoy its views of the Danube tomorrow, or sign-up for our instant alerts service to keep up-to-date on the very best of our holiday deals.